Prama and Andrew have been an amazing couple to work with. 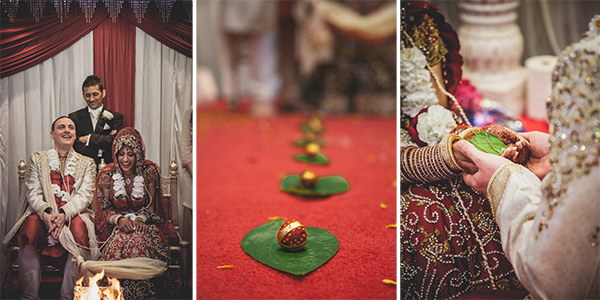 From initial meetings through the engagement photography and covering both hindu wedding photography and videography on their big day, we’ve really enjoyed their company, their positive outlook and their sense of fun. Their story is pretty special. Scroll down to share it in photos, words and video. 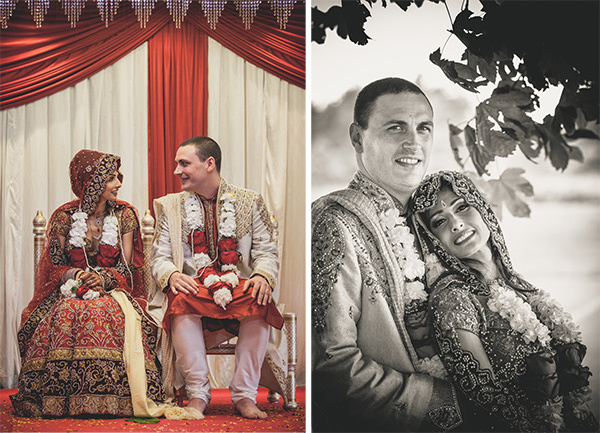 Andy and Prama knew from the start that they wanted to include both their cultures in their wedding day. 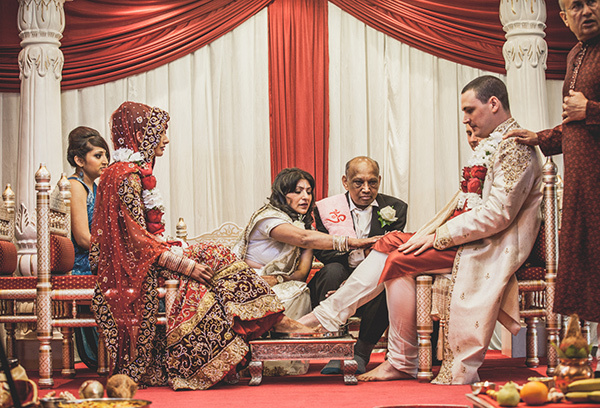 Couples often choose to have their Hindu and civil ceremonies on two different days because the Hindu marriage ceremony can be up to six or seven hours long. 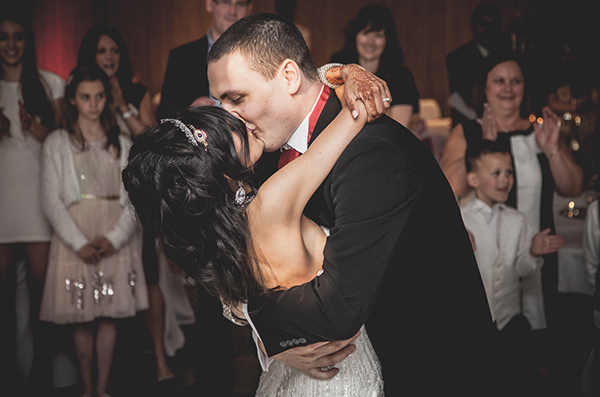 Prama and Andy felt passionately that they wanted to incorporate both ceremonies into one special day, which would be a celebration of their roots as well as their love for each other. So what was it like planning a wedding with two ceremonies in one day? 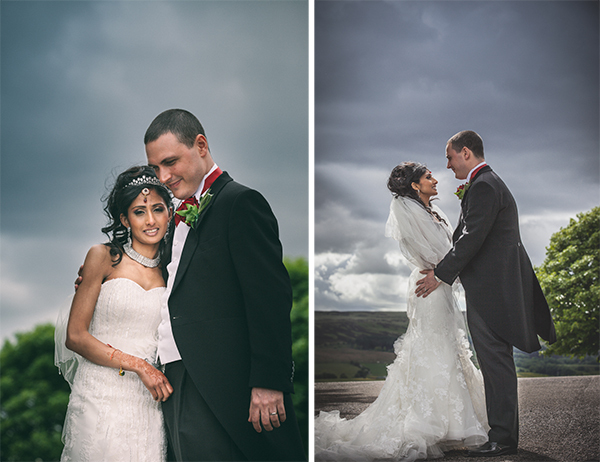 “Organising the wedding was really stressful as I had just seven months to arrange everything. There were trips to Eccles, Bolton, Manchester, Oldham, Leicester and London to source everything. 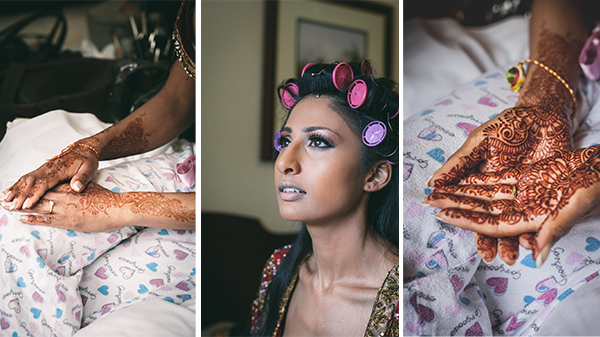 From the outfits, jewellery, makeup and henna artists to the décor for the big day. It was fun though, especially trying on all the wedding outfits. 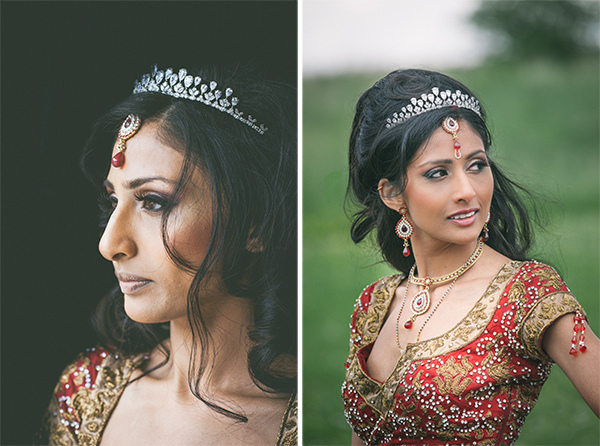 I’d always dreamed of being an Indian bride, dressed in the traditional reds and golds, but I was equally excited about having a fairytale white wedding dress,” explains Prama. 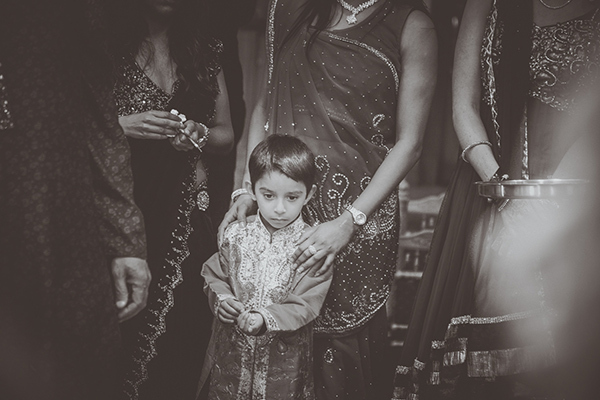 Andy was just as enthusiastic about his two costumes, especially about dressing up in traditional Indian wedding attire, and you can see from the photos that he pulled it off with style! The photographs are amazing. I enjoyed looking at them. They give you the true feelings of joy and emotions in everyone of the pictures. I congratulate you on your work. The video is also marvellous. I enjoyed watching it. Both the bride and groom looks fabulous. This is entirely due to your professional approach in producing such a fantastic video. The day was an amazing day and from the photos you can really see how wonderful and organised the day was. Prama and Andy will always have beautiful memories. The photos and videos tell an amazing story of the happy couples day to how they finally became husband and wife for everyone to remember and share. They both looked stunning on the day and this is because the photos taken are so natural and professional. The photos and videos will always be there for all the family to remember this amazing day and by having them, they allow you to remember the same feelings and emotions you felt on the day. Happy Memories to last forever.